BE A VIP AND TRAVEL AS A VIP! No Kingdom can survive without funds. 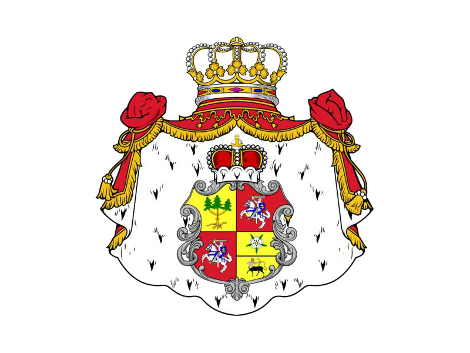 His Majesty King Roman offers real titles, royal and noble, to raise funds for his Royal Activities below While a sponsor is being sought, donations for desired titles are used to support His Imperial Majesty's Monarchy-in-Exile and further his royal causes, including - (1) full recognition of his legitimacy as King of Europa and Grand Duke of Lithuania etcetera, (2) building his Castle/Palace long overdue, (3) construction of his saucer-style spaceship (google Moonship Phoenix for info), (4) helping the poor and starving of the world, and (5) filming his book The Amazing Adventures of Professor John Hudson. 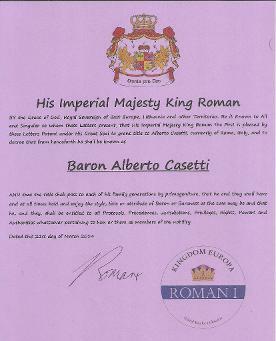 New Grants of title are real INHERITABLE titles are provided by letters patent, on A3 parchment-style, from the same real King Roman, and go to fund His Majesty's special activities above. IN 1611 KING JAMES THE FIRST OF ENGLAND RECEIVED GBP £1,000 FOR EACH BARONETCY HE GRANTED, EQUIVALENT TODAY TO USD $185,000.00 EACH! GET A REAL TITLE NOW BEFORE REQUESTED AND REQUIRED DONATIONS RISE. 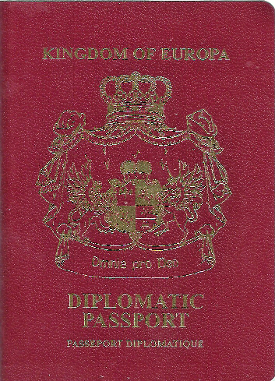 All titles include unique Coat of Arms and a Diplomatic Passport. You are, and you can travel as, a VIP. His Imperial Majesty is in the unique position of having a number of Empires and Kingdoms beyond Earth! If this has special interest for you, please visit www.MoonTitles.com now. There have been Knights of various Orders over many centuries, and Knighthoods were originally granted to honour men of valour who would protect their Royal or Noble masters in peace and fight for them in war. Admission of women to Knighthood is a recent Innovation. The purpose of Knighthoods, of being a Knight, has also changed, with the setting aside of armour, and the use of Knighthoods, both for men and women, to acknowledge assistance to the Crown or achievement in fields other than those of battle. 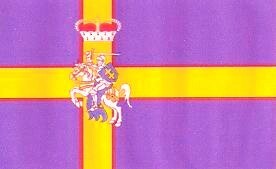 If you would like to acquire a Knighthood as Sir / Dame Grand Commander in the Royal Order of the Amethyst, please donate $3000 (includes preparation of a unique Coat of Arms for you, AND a Diplomatic Passport you can use to travel as a VIP) and complete passport requirements (see above). Should you not wish to have your Arms and Diplomatic Passport included, you may donate $2000, and provide your resume and photo, which can be sent by email.